Every year, I think it would be fun to make gingerbread houses, and then we do, and I make it so it isn’t fun. It takes a full 12 months for me to forget how terrible it is, and then I do it again. This year we added the variable of a contest. http://www.friendsofthelovelandlibrary.org/index.php/events/gingerbread-challenge So we have a brand new way to make it not fun- competition. yea….. I had a great idea- mine would be a greenhouse, using glass candy for the windows, and candy plants inside that you would be able to see through the windows. The Boy had a cool idea too, a house under construction, using candy canes as the studs of a house. The Girl wanted to stick with tradition, no theme, just a house, but also with windows, and a tree inside. Okay- the 6 day process begins. Monday- make dough, last minute trip to grocery for Crisco, not a pantry staple at our house, to make the “construction grade” dough. Chill dough overnight. Tuesday- roll half the dough, cut out windows and doors, bake and then use every inch of counter space to cool foil sheets of house pieces, for three separate houses. After oven is off- I count up and realize I am 1 piece short…Deadline for entering contest passes, and I feel a little relieved. 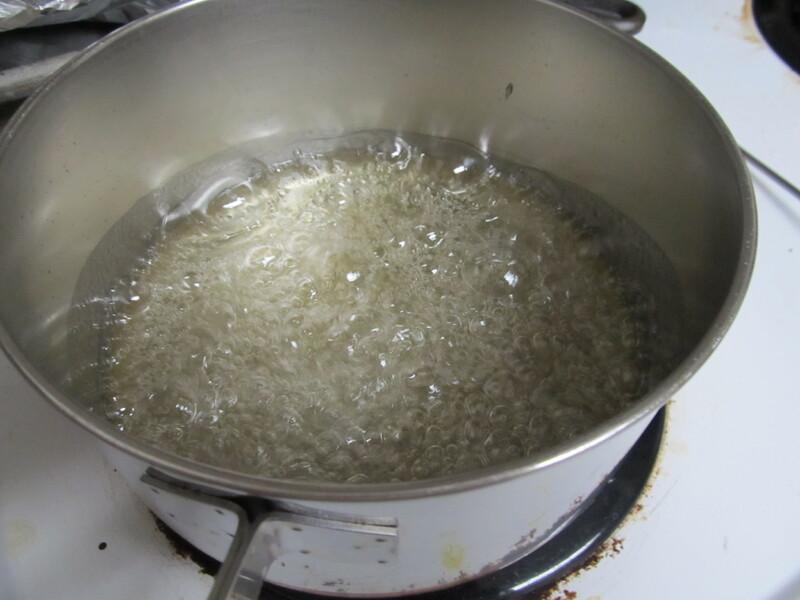 1 cup sugar, 1/2 cup corn syrup, 1/3 cup water. Boil for-freaking-ever, or until thermometer reads 260. How cool is that? Candy you can see through! 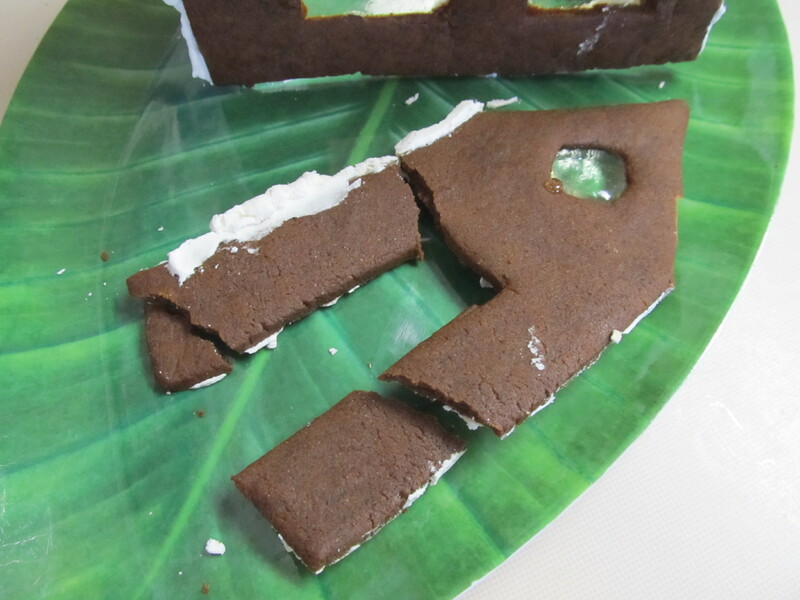 Wednesday- Good news- they are extending the deadline…We boil the sugar syrup to the hard crack stage, 260 degrees, and pour it into the windows I cut into the gingerbread. Both kids are watching closely- thankfully no one gets burned. Roll out other half of dough to make more panels and windows. Recount- still not enough panels- resolve to fill in with graham crackers. As the sugar cools, I repeatedly caution the kids not to touch, Not to Touch, Not To Touch!! Put myself into time out after 2 walls break due to touching…NOT TO TOUCH!!!! Technically, a box of candy canes was dropped on it. I really lost it- you know it's bad when your throat hurts from yelling. Thursday- I attempt some repair with sugar syrup- it is partially effective, if by partially we mean wobbly and sticky. (Also, the fruit flies are having a field day). 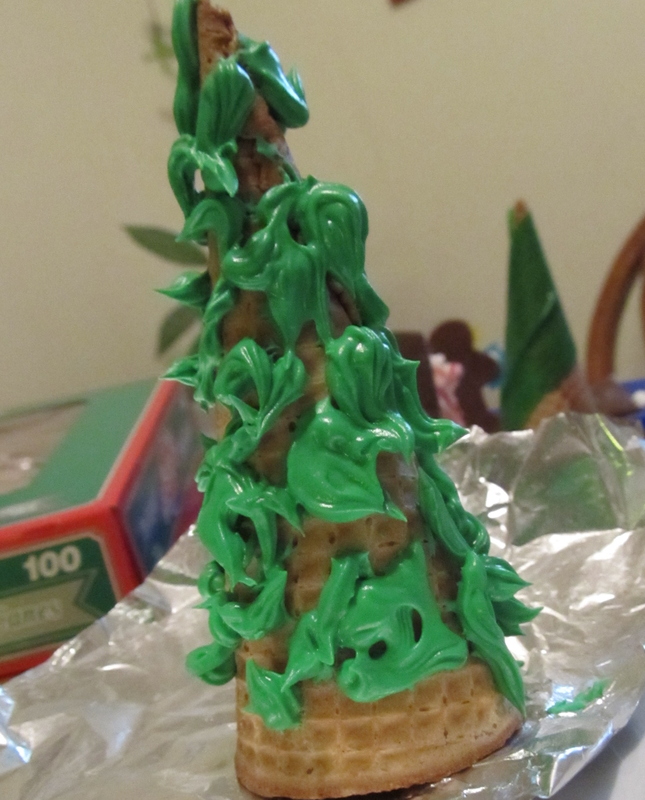 We did have some fun playing with the decorating kit, including making trees out of ice cream cones. The Girl tinted the icing, and piped it herself- I love this tree. 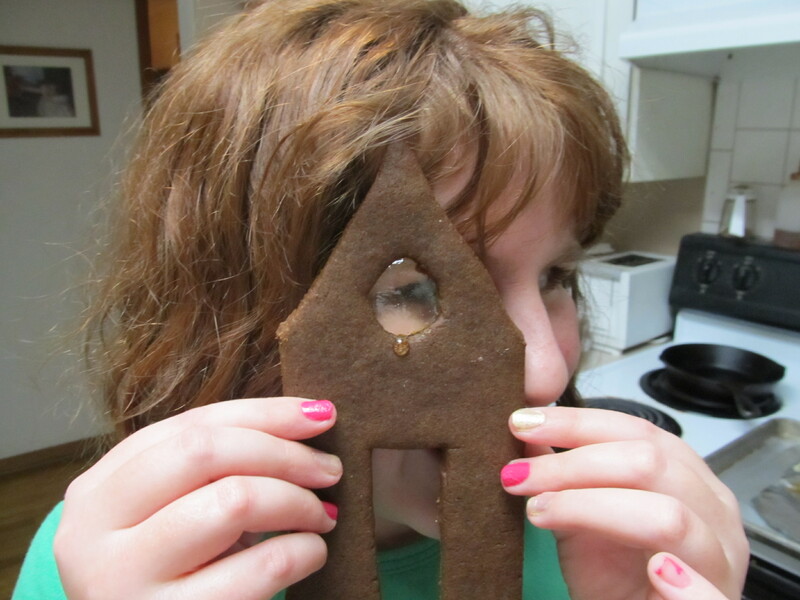 Friday- Okay, with enough royal icing, the Girl’s graham crackers attach to the sides and form a cohesive house. The Boy creates a toilet out of a marshmallow and a life saver. Classy. My greenhouse roof slips twice, then cracks, then finally sticks. Both kids have nightmares of dropping their houses. Edited to add- if you do glass candy windows, make sure you get the temperature up to 260, or hard crack stage- my windows were not, and they have slumped over the past weeks. Not quite a solid, they are a supercooled liquid. The Girl’s windows cooked longer, and are slightly amber colored, but much harder. 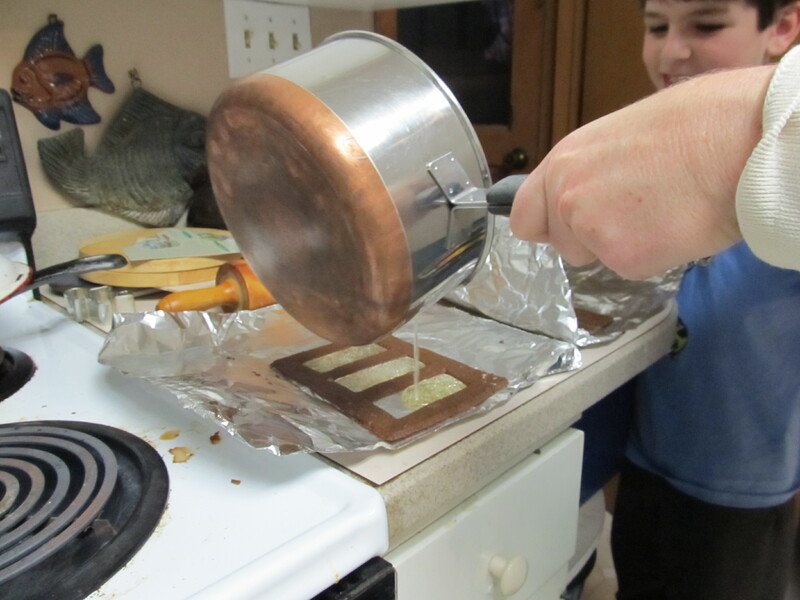 This is easiest if you have a candy thermometer. We used an instant -read thermometer. I have often thought of making a gingerbread house. Thank you for your post…I think it would end up driving my crazy. I’ll just admire the work of others.